For the latest information about upcoming performances, new music downloads, clips, news and blogs, visit us at MySpace Music. Kachumbari Seven is a new musical group for Kenya. It aims to create original new music to celebrate the diverse mix of African, Asian and European cultures found in Nairobi. Amongst the group, our musical backgrounds represent North Indian and Nepalese classical and folk traditions, the European classical tradition, the English folk tradition, and African music tradition from parts of Kenya and beyond. The music is a colourful mixture of sounds, moods and atmospheres, created by flowing from improvised music to sections with strict rhythms, melodies and ragas. 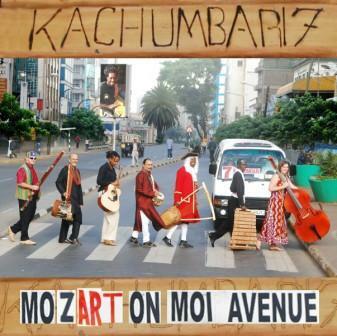 Kachumbari Seven gave its first performance on 18th November 2006 at the GoDown Arts Centre, Nairobi, Kenya. You can listen to clips from the concert below.